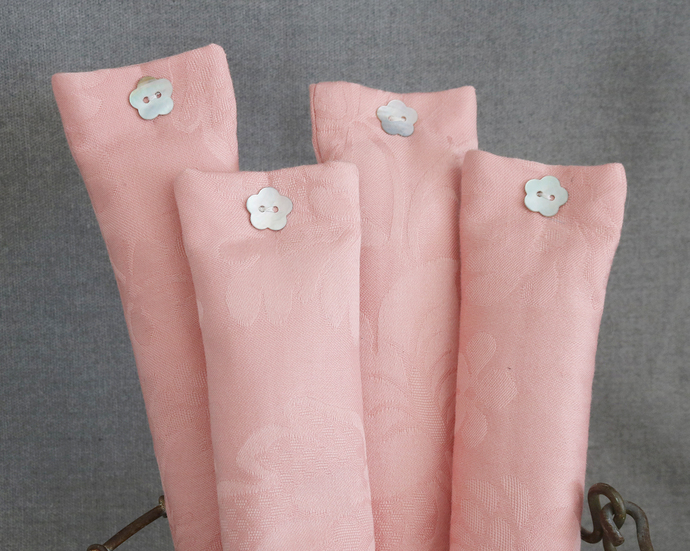 It's made with a salmon-rose pink damask fabric. 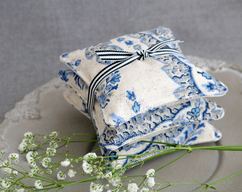 Over one cup of lavender is packed inside for a fresh natural fragrance - one that cleanses, relaxes, and refreshes. 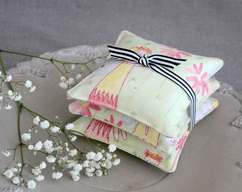 A mother-of-pearl flower button is sewn to the top for decoration (it is not a working button with buttonhole). 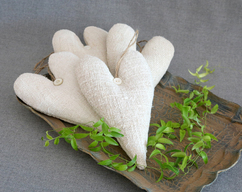 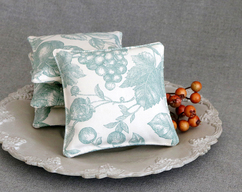 This sachet is a great hostess or bridesmaid gift!